Reading Mridula Koshy’s stories for the first time, almost a year-and-a-half ago, fresh into the publishing job I left this January, I had two distinct thoughts. The first was that these were the Delhi stories I’d been looking for; the second was that if all I managed to do was publish another three books like this, I’d have justified my time in publishing. If you live in Bombay and write, the city looms behind your work, inevitably and naturally. But Delhi seems to elude writers, especially those who work in English–the great Delhi novels I can think of were written by Krishna Sobti and Ahmed Ali, with a few exceptions. (I Allan Sealy and Karan Mahajan have both used Delhi as an interesting backdrop, but the author who’s probably captured Delhi best was Vandana Singh, in an SF short story.) Most writers see Delhi through the lens of history–it’s a wonderful place to set a certain kind of tourist historical novel–or through the lens of a camera–the picture postcard view. Mridula’s stories in the collection that became If It Is Sweet (Tranquebar) captured the many levels at which Delhi works, her curiosity and her open-mindedness as a writer allowing her to examine the lives of people too invisible, too ordinary to be considered worth writing about. Perhaps it’s her background–she used to be a trade union organiser–that makes her such an acute observer, perhaps it’s the many places that she travelled between as a young child that gave her an ability to imagine the lives of strangers in richness and detail. She had not noticed from the outside, but the houses are built with no space between them, just the superfluity of two sets of walls in a tight kiss, so that they are suctioned, one to the other. But neither do the two balconies, nor do the houses themselves, bear any relationship of symmetry or accord any thought to each other. In brooding, otherworldly prose, Mridula Koshy tells us the stories other writers overlook, or do not wish to tell: the household thoughts that must always remain silent, the disavowed dramas of the city, the heartbreaking proximity of opposite emotions. 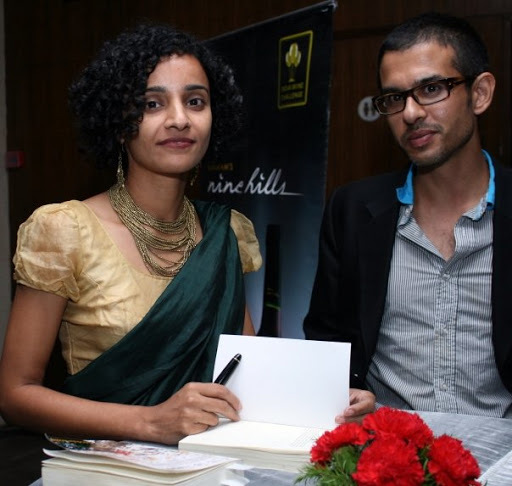 There’ll be other books from Mridula Koshy; she’s here for the long haul, and I look forward to reading them. But I’ll always have a soft spot for this collection of short stories, so intense, so rewarding, so revealing of the inner life of this city I’ve known all my life, loved and hated, and never seen captured quite like this before. I just read this and thought your readers would be interested. (Apologies if it's off topic, but it's Indian writing and has "shades of Kavya Vishvanathan" which needs to be called out:http://blog.kridaya.com/2009/05/13/tishani-doshi-back-to-word-lifting-games/http://blog.kridaya.com/2009/05/11/murdered-concept-watch/http://www.wellpitched.com/2009/05/how-authentic-is-this-cricinfo-page-2.htmlGhastly stuff, a cricket writer called Tishani Doshi lifting from everyone from Penguin Classics to Sparks Notes to Gladwell to God alone knows what else. Jai: Yes. Had forgotten about The Public Enemy – arabugly the first great sound film.Also how about Madame Constantin in Notorious – a defining role that arabugly may have inspired numerous stern and possessive screen mothers (including perhaps Hitchcock’s own Mrs Bates).Another inspirational “Maa” figure from classic Hollywood was Beulah Bondi who was to Jimmy Stewart what Nirupa Roy was to Bachchan!